Dr. Jeremy Hughes is a specialist in radiology in Phoenix, Arizona. He graduated from University of Oklahoma College of Medicine. He did an internship in internal medicine at University of Oklahoma Health Sciences Center. After this, he did his residency program in radiology at St. Joseph’s Hospital and Medical Center. 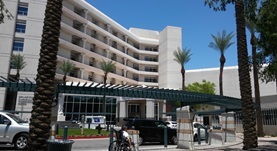 The doctor also did a fellowship in neuroradiology at Barrow Neurological Institute. He is board certified in diagnostic radiology and neuroradiology. Dr. Jeremy Hughes has been practicing for more than 10 years.